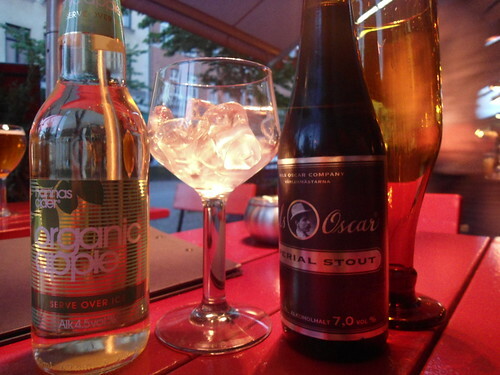 I had a Nils Oscar Imperial Stout, while Meghan enjoyed a Hannas organic apple cider from Galatea Spirits. Both from Sverige, and both delicious. The guy from Hurt Locker was there, and Björk was our waitress. When in Malmö, Jeremy Renner drinks at Metro.